Off we venture into the life and mind of one Victoria ‘Vic’ McQueen, a woman who – during her youth – escaped from a near death experience, and then as an adult finds herself battling the same peculiar, not-quite-human “man” and his wicked ways. Now she’s trying to hunt him down because he has abducted her son. The years have not been kind to our protagonist, through her own poor choices and inability to come to terms with what is and is not real. Vic has a secret and this is what has piqued the interest of her one time tormentor. With a wealth at risk the fight to rescue her son ensues. Vic’s vile counterpart is known as Charles Talent Manx. A man who travels around in a Rolls-Royce Wraith that bears a personalized license plate. That plate carries the name NOS4A2, which Manx proudly declares as his one and only self. The car is not to be overlooked as it is just as much a character within this story as anyone else with a pulse… or without, for that matter. Wayne Carmody serves as the victimized son. This story has a whole plethora of characters that are important in carrying this tale to conclusion and while I am tempted to list them here I am not going to do that. Chances are I’ll end up delivering a major spoiler here. What kind of impact did the novel have, and did I like it? Well, I think this is one excellent read that really took me on a diverse journey of wonder and loss. If you read this expecting an abundance of blood and gore, you’ll be disappointed. While we are dealing with a vampire here, the obvious or predictable road is not traveled within the pages of NOS4A2. Joe Hill has brought to life an exciting and totally different manner of monster here. While I am well aware of the many comparisons other reviewers have made in regards to Hill and his legendary father Stephen King, I am choosing to steer clear of those parallels. This isn’t a Stephen King novel, it’s a Joe Hill novel. Let’s allow the man’s work to stand alone. Don’t get me wrong, there are a number of references to his father’s past works here, but I’d consider those more tribute than anything else. NOS4A2 is somewhat of an homage piece that stands out on the merits of Hill’s writing alone. Hill has done a fine job here. Obviously this had a very positive impact on me. Would I recommend this to you? Without hesitation, most certainly. At the end of the day my only regret is that I did not pick this up and read it earlier. And my desire is that this little review will encourage you to reserve a touch of time to enjoy a beautiful piece of work. 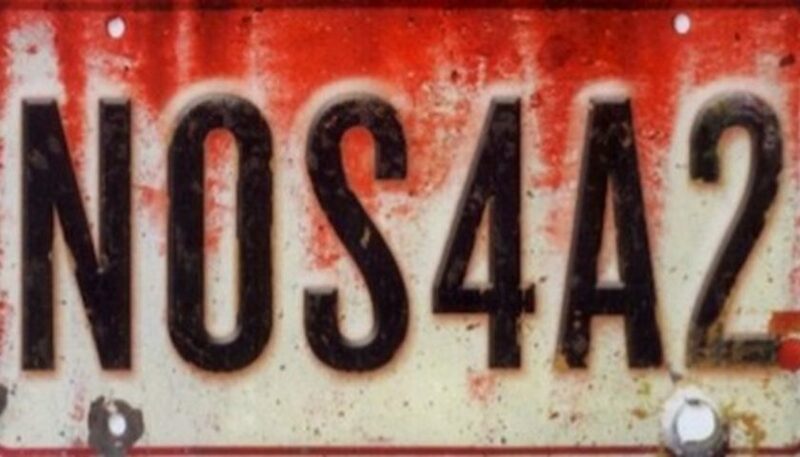 NOS4A2 is definitely worth your time and money. This is a slow burn book that builds up to a full on raging wild ride.